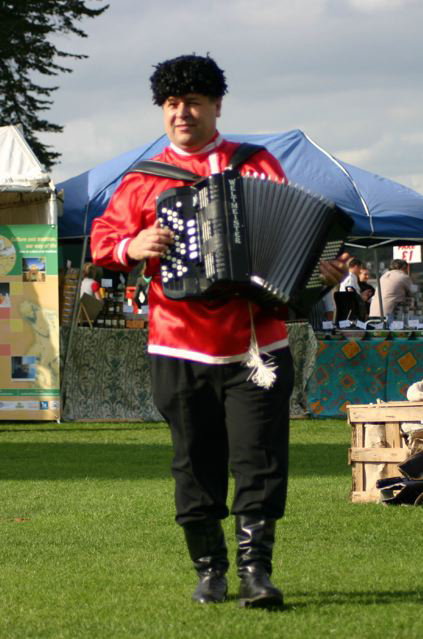 Serguei Pachnine is a vocalist and a master of the button accordion. His huge and diverse repertoire ranges from traditional Russian dances to favourite European melodies, and from the most popular jazz standards to classics. Since his appearance on London’s stages he has established a fine reputation in Britain for his work as a performer in concerts, hotels and corporate events, and his powerful singing voice and amiable sense of humour endear him to audiences everywhere. Audience participation in this programme is usually spontaneous. 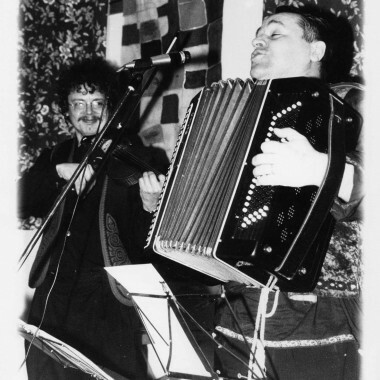 Not only does Serge entertain his audience with folk songs such as Kalinka, Dark Eyes, Two Guitars, Song Of The Volga Boatmen, Stenka Rasin, Those Were The Days, but also introduces the best examples of Klezmer music and contemporary numbers by modern composers such as Lara’s Theme by Morris Jarre, Moscow Nights by Solovyof-Sedoy etc. Serge’s international programme includes a huge selection of popular melodies from many countries around the world. This programme is suitable for a wide range of events such as receptions, weddings, birthdays, private parties (formal or informal), indeed any function where music becomes part of the event. In many cases he can be suitably costumed for a theme, eg French, Italian, Christmas…and even a Mediterranean pirate! 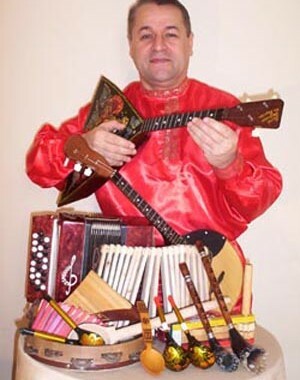 Since it’s inception in the year 2000, Serge has successfully performed The Sounds of Russia at a lot of schools of Great Britain and at The National Theatre. 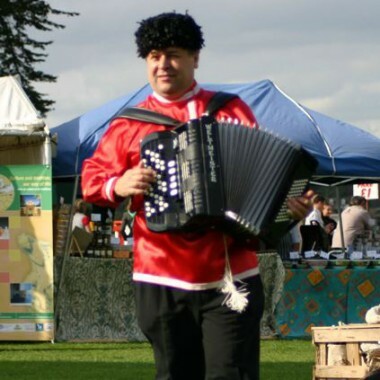 It is is an hour long show and includes the fun of singing Russian songs and participatory stories, accompanied by traditional Russian instruments. After each performance the children are invited to see and examine many authentic Folk instruments. Some examples of the instruments used in the show remain with the school.